Artist’s impression of the design concept underlying David Adjaye’s Second London Holocaust Memorial. Victoria Tower Gardens is a classic nineteenth century London public park. 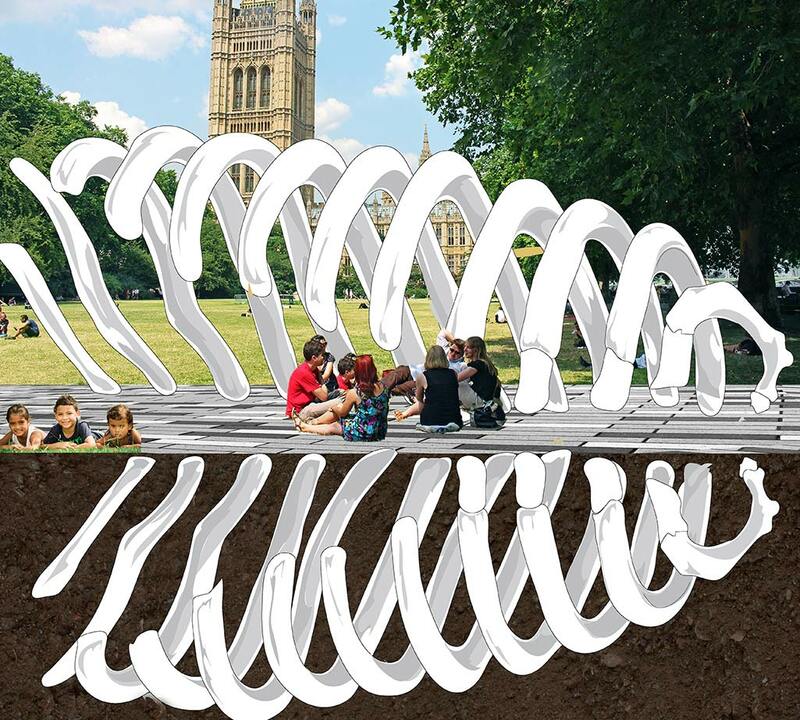 It is the wrong site for London’s Second Holocaust Memorial. Nor should the information centre be buried. Parks should not be regarded as vacant land that can be used for building projects. They are key components of a city’s green infrastructure. The 2017 London Draft Environment Strategy calls for London’s green cover to be raised from 47% to 50%. There is no mention of it being OK to build on historic parkland. The initiative for the establishment of Victoria Tower Gardens came from a private benefactor: WH Smith (who also had the idea of placing newsagents beside railway stations). Benefactors should be encouraged. Their gifts should be respected. London has very few Thamesside parks. They should be conserved. The Westminster Area is thronged with tourists. It will not benefit from the extra 1 million/year predicted visitors to the Second Holocaust Memorial. The design brief for the competition was badly conceived and insensitive to landscape considerations. Public parks should not be ‘sombre’. They should be places of joy. As argued in the video, below, the symbolism of placing a Holocaust Museum and Information Centre underground is completely wrong. Great evil should be exposed to the full light of day, to the sun, to the wind and to the rain. The Imperial War Museum has a Holocaust section that already attracts almost 1 million visitors/year. It is opening a new wing in 2020. The IWM is highly experienced in the management of historical information. There is a section of Hyde Park called the Dell Garden. It has no public access at present and adjoins London’s first Holocaust Memorial. The Dell could be re-designed as a Holocaust Memorial Garden, relating to London’s First Holocaust Memorial. 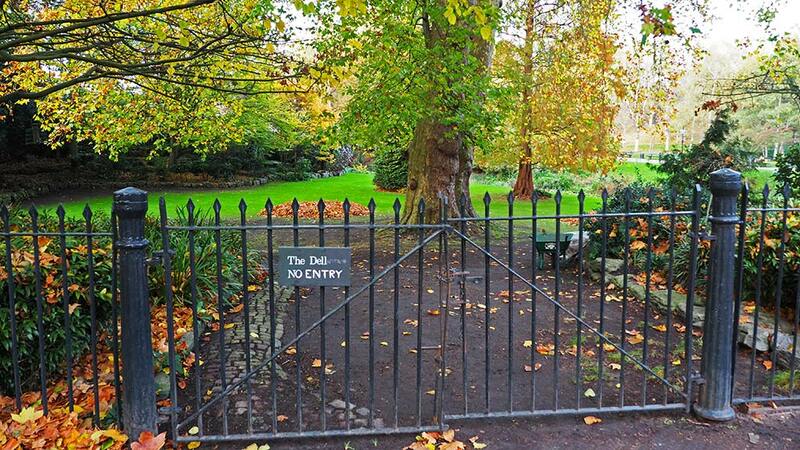 Hyde Park’s Dell Garden could become a Holocaust Memorial Garden. At present, it has no public access.